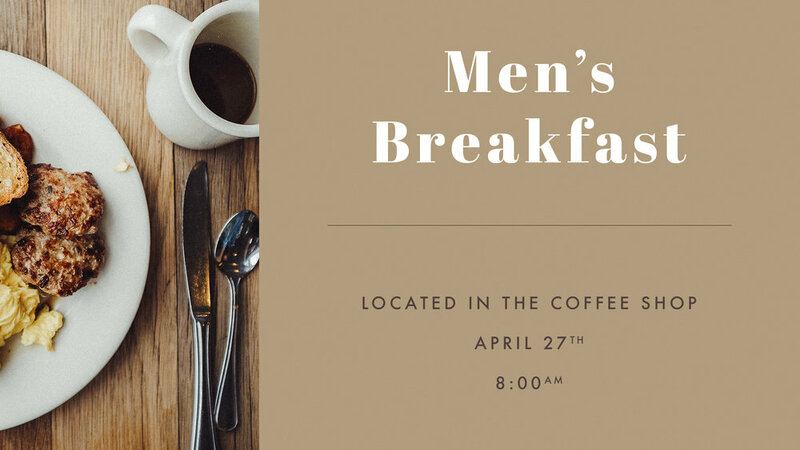 Join us on Saturday morning, April 27th at 8AM for our monthly Men’s Breakfast. We're ready for you to "Connect" at Freedom Church! Whether you are new or have been here for a while, these moments are where we share our core values of Love, Grow and Serve. You'll find out what it means to be a member, how to grow and connect through our Groups, and how to find a place to serve and use your gifts. The next classes are Wednesday, May 1st, 8th, and 15th at 6PM in the conference room. Childcare is available, and we will be serving light refreshments. Deadline to sign up for the Honduras Mission Trip is fast approaching. You must have your Deposit in by April 14 to participant in this years trip. To sign up today, click below. During the 11:45 service on Easter Sunday, April 21st, we will be having water baptisms. Join us bright and early for a special speaker at 7AM on Easter Sunday. We will be meeting in the tent on the west side of campus. There will be a special time of singing with a message from a special guest. On the traditional Church calendar, the Thursday before Easter was known as Maundy Thursday, commemorating the Last Supper of Christ and the Apostles. This year, we'll be celebrating a Covenant Meal together as a Church. This is a great time for us to come together as a family and enjoy a meal together. A Children / Grandparent Maundy Thursday meal will be happening at the same time! The meal is open to anyone, however we request that everyone pre-register for an accurate food preparation. We'll see you April 18th at 7pm in the Sanctuary for a great time together! There is also a kids Maundy Thursday meal, information is available here. Our Wednesday night service starts at 7PM with a special emphasis on the beginning of Holy Week. Join us for a time of worship and diving into the Word. Alpha is a class that has been enjoyed by millions all over the world. Join us as we explore life, faith, and meaning. It’s all launching on March 23 at 5PM. Food, social time, and in-depth teaching. RSVP for week 1 so we can have a head-count for food. More information and registration for Alpha is available here. Invite a friend! Complete class calendar can be found by clicking below. Couples! Join us for Bunco Night on Friday, April 12th at 7PM at Freedom Church! It’s going to be a lot of fun and you won’t want to miss out! Hope to see you there! Our next Young Adults service is Thursday night, April 4th at 7PM. If you’re 18 to 30ish, come join us at Young Adults service for coffee, worship, and a word. This is a great time of community here at Freedom! Whether you're already serving, or wanting to get plugged in to a Freedom Church ministry, come out to Serve Day on March 30th from 10AM-12PM! Alpha is a class that has been enjoyed by millions all over the world. Join us as we explore life, faith, and meaning. It’s all launching on March 24 at 5PM. Food, social time, and in-depth teaching. RSVP for week 1 so we can have a head-count for food. More information and registration for Alpha is available here. Invite a friend! Seniors are going to Waxahachie to see the Musical “Heaven’s Front Porch” at Chautauqua Auditorium. Tickets are $12.00 and need to be paid by March 10th. We will leave the church at 11:30 AM on March 23rd and lunch will be at Joyce Bridges home. Please email Sandra Shelton to register. Freedom Men, we’re having our next Men’s Breakfast Saturday, March 23rd at 8:00AM in the Coffee Shop. We’ll eat some great food, have an awesome time of fellowship and hear a challenging word. We look forward to seeing you there! 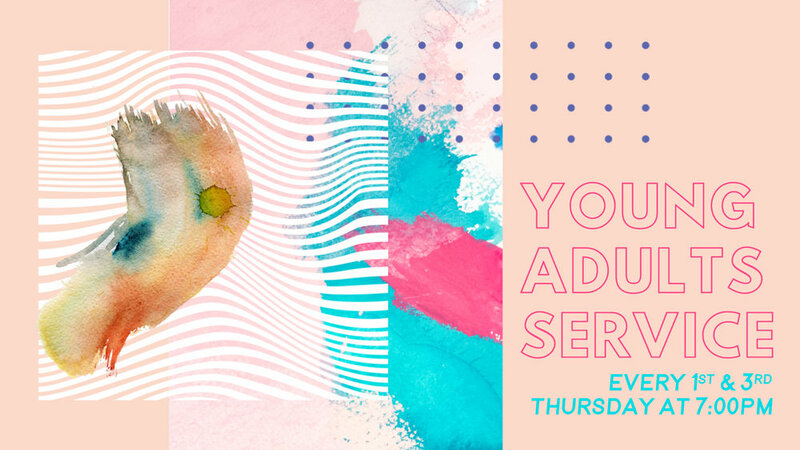 Our next Young Adults service is Thursday night, March 21st at 7PM. If you’re 18 to 30ish, come join us at Young Adults service for coffee, worship, and a word. This is a great time of community here at Freedom! Coming up on March 17th, we are having baby dedications during our 11:45 a.m. service. If you have a child you would like to have dedicated, please sign up by clicking here. Join us in the chapel for 3rd Friday Prayer, March 15, from 7-9. It’s a powerful time of pressing into the presence of the Lord, praying His will, and operating in the gifts of the Spirit. 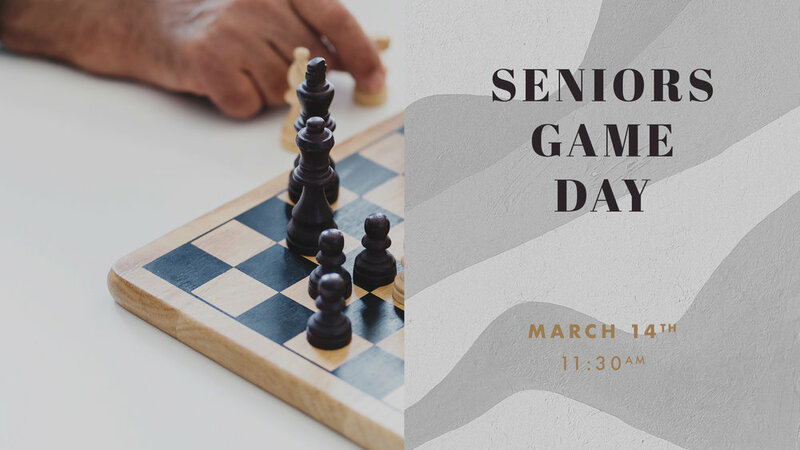 The Freedom Seniors monthly potluck game day is happening at 11:30 a.m. in the Student Center Cafe. Mark your calendar, bring a friend, and join us at our next get together on March 14th for plenty of food, fun and fellowship! Our next Young Adults service is Thursday night, March 7th at 7PM. If you’re 18 to 30ish, come join us at Young Adults service for coffee, worship, and a word. This is a great time of community here at Freedom! Small Groups are a pillar for Freedom Church. We encourage all of our members to get connected to one, and we believe that there is a small group for everyone! Our groups cater to different stages of life, all ages, and across the plane of spiritual growth. Hebrews 10:24 says, "Let us consider how we may spur one another toward love and good deeds". We hope that through connection with a small group you will be surrounded by others who will help spur you on in life to reach your goals! We will have a table set up in the lobby on March 3rd that will have all the information you need. We look forward to getting even more connected with the Freedom Family! 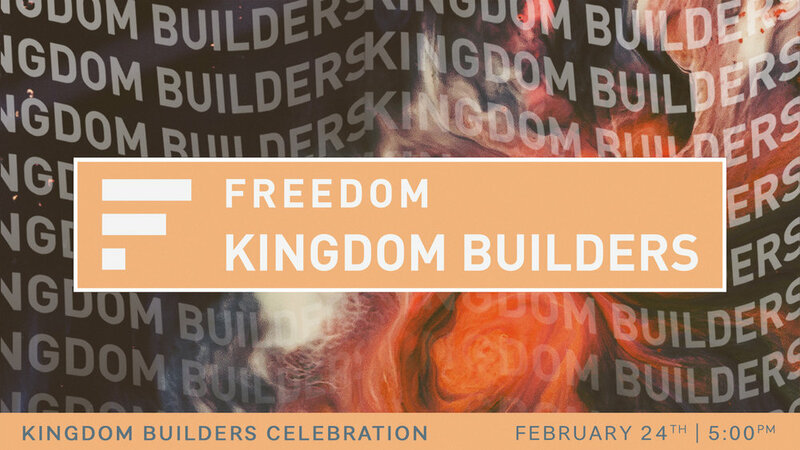 I want to personally invite you to Kingdom Builders, a generosity initiative at Freedom Church that I believe will provide us the opportunity to expand the Kingdom of God through a heartbeat of generosity! People often ask me if there is anything they can do to be a blessing to Freedom Church. As that question comes up, it’s often hard to come up with a specific answer. However, if you were to ask me that question today, my answer would be to join us at this dinner! It will allow me to cast the vision on how together, we can give generously to expand our reach through three broad but focused areas: Global Missions, Local Church Expansion and Future Generations. I can’t express enough how honored I would be if you would join me on Sunday, February 24th at 5pm in the Main Sanctuary, as we reflect on 2018, and press ahead towards even greater things in 2019. I believe everyone, in every nation, deserves a chance to hear the Gospel…and Kingdom Builders is our opportunity to help! Childcare will be provided for infant through 5th grade. Space is very limited, you need to sign up here and pick up your ticket at the Kingdom Builders table in the lobby! I hope you will join me and Starla as we celebrate all God is doing here at Freedom. 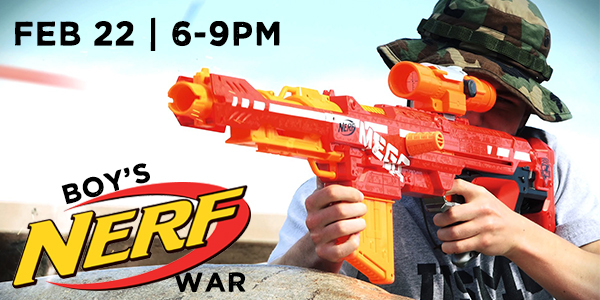 Our Royal Rangers are hosting a boys Nerf War on Friday night, February 22nd from 6-9pm. Rangers are encouraged to bring their own Nerf guns and eye protection. Cost is $5 per Ranger to cover pizza, drinks, and snacks. This event is for boys K-5th grade. Our next Young Adults service is Thursday night, February 21st at 7 p.m. If you’re 18 to 30ish, come join us at Young Adults service for coffee, worship, and a word. This is a great time of community here at Freedom! We're ready for you to "Connect" at Freedom Church! Whether you are new or have been here for a while, these moments are where we share our core values of Love, Grow and Serve. You'll find out what it means to be a member, how to grow and connect through our Groups, and how to find a place to serve and use your gifts. The next classes are Wednesday, February 6th, 13th & 20th, 2019 at 6 p.m. in the conference room. Childcare is available, and we will be serving light refreshments. Your kids don’t have school on February 18th as we will be celebrating President’s Day. Do you need a place for them to go? 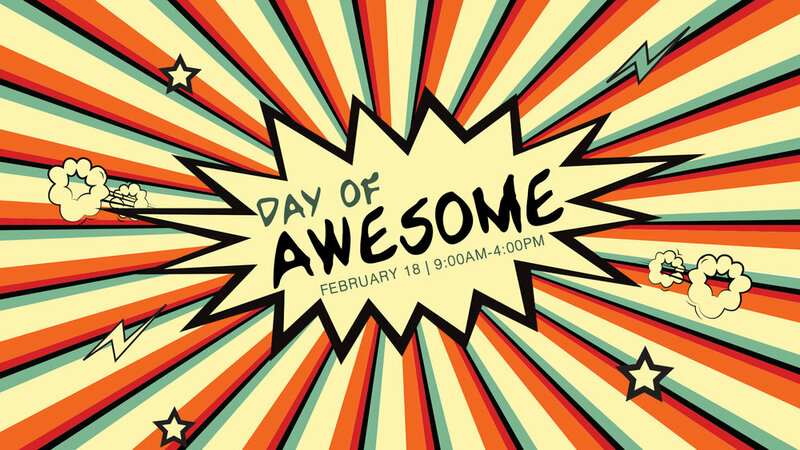 Freedom Kids is hosting a Day of Awesome Monday, February 18th from 9:00 a.m. - 4:00 p.m. It will be full of games, food and fun! Cost is $20 per child. This for Kindergarten thru 5th graders only! We hope to see them there! Space is limited, so register today! Every follower of Jesus Christ has been given Spiritual Gifts. Do you know yours? Do you know how to operate in your gift(s)? This 8-week class is to learn about the Gifts of theSpirit, their purpose and how to operate in them. Join us Sundays at 5PM in theConference Room.